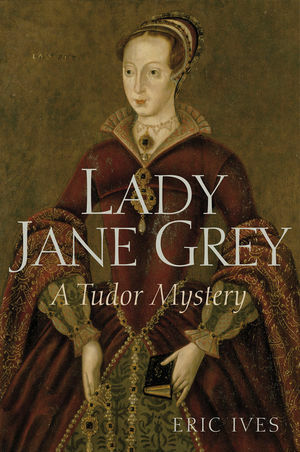 Lady Jane Grey, is one of the most elusive and tragic characters in English history. In July 1553 the death of the childless Edward VI threw the Tudor dynasty into crisis. On Edward's instructions his cousin Jane Grey was proclaimed queen, only to be ousted 13 days later by his illegitimate half sister Mary and later beheaded. In this radical reassessment, Eric Ives rejects traditional portraits of Jane both as hapless victim of political intrigue or Protestant martyr. Instead he presents her as an accomplished young woman with a fierce personal integrity. The result is a compelling dissection by a master historian and storyteller of one of history’s most shocking injustices. Eric Ives is Emeritus Professor of English History at the University of Birmingham and author of The Life and Death of Anne Boleyn (Blackwell, 2004). He has written widely on Tudor history, the history of law, and on the development of modern higher education. In 2001 he was awarded the OBE for services to history and the University of Birmingham. 1 The Year of Three Sovereigns. 2 In Search of Jane Grey. 3 Jane Grey in Context. 10 John Dudley: The Career. 11 John Dudley: The Black Legend. 14 'My Deuise for the Succession'. 16 The Will of a King. 19 The Council in London. 20 The March on Framlingham. 22 The Rebellion of Mary Tudor. 23 Every Man for Himself. 26 The River of Jordan.